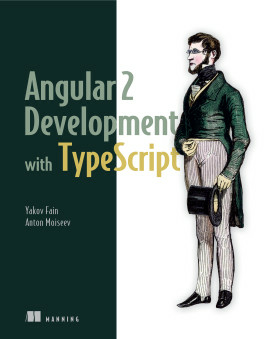 Your first step toward becoming a hapi.js expert. 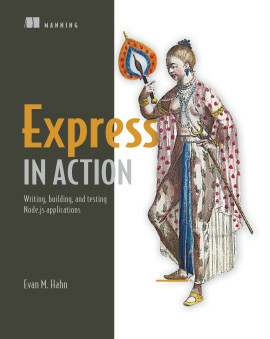 Hapi.js in Action teaches you how to build modern Node-driven applications using hapi.js. 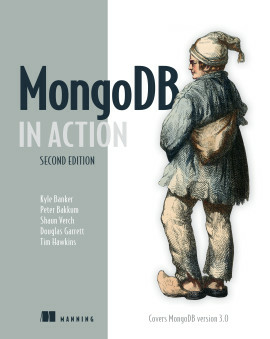 Packed with examples, this book takes you from your first simple server through the skills you'll need to build a complete application. 1.1.1. What makes hapi special? 1.1.2. What kind of framework is hapi.js? 5.1.1. What is the request object? 5.1.4. Which extension point should I use? 5.2.1. What is the reply interface? 7.1.1. What is a Plugin? 7.1.2. What can go in a plugin? 7.1.3. Plugin all the Things! 8.2.4. Which cache strategy should I use? 9.1.2. Which authentication scheme should I choose? 9.2.1. What is Third-Party Authentication? 10.2.1. What is the code Assertion Library? 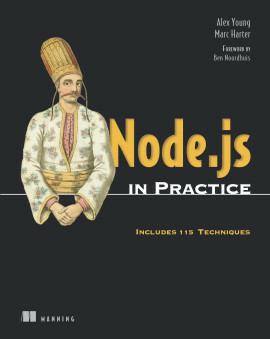 The hapi.js web framework for Node.js is built around three radical ideas. Developer productivity: hapi's intuitive setup gets you up and running in no time. 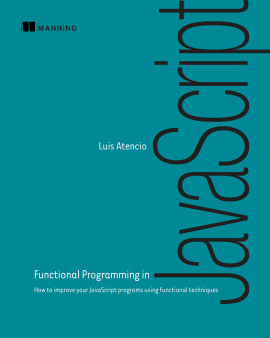 Maintainability: hapi's modular design allows for easy scaling and improvement. Flexibility: hapi has a lightweight core that you can expand and customize with plugins. Are you ready to get hapi? 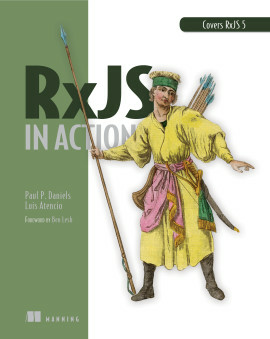 Hapi.js in Action is an incredibly practical book that teaches you to build APIs, servers, and applications using Node.js and the hapi.js framework. 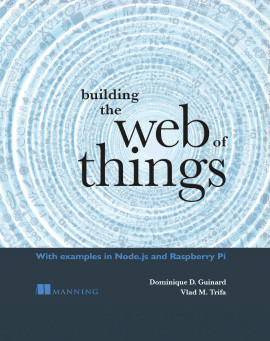 You'll begin with an easy-to-follow mental model of a Node.js web application and see exactly where hapi fits into the picture. 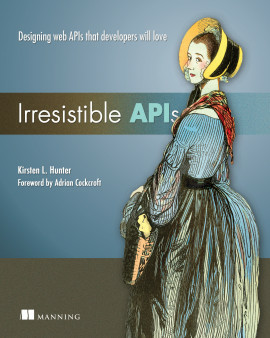 Then, you'll walk through building an API and composing it into a web application. Along the way, you'll explore key topics like validation, testing, authentication, and deployment. Throughout, you'll learn how to build rock-solid, secure, and fast applications. 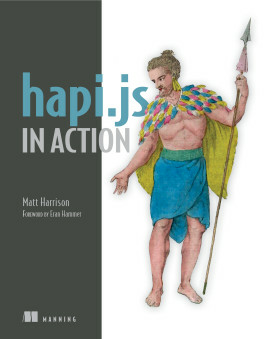 Matt Harrison is a core contributor to hapi.js and an active member of the Node community. Not just the best, but the only hapi.js reference you'll ever need. 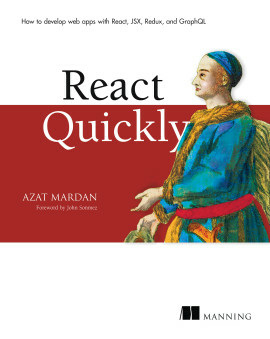 A pleasure to read, with excellent real-world examples. 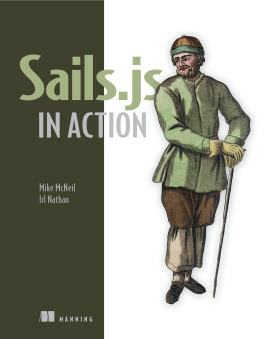 This book made creating my first hapi.js app a joy!